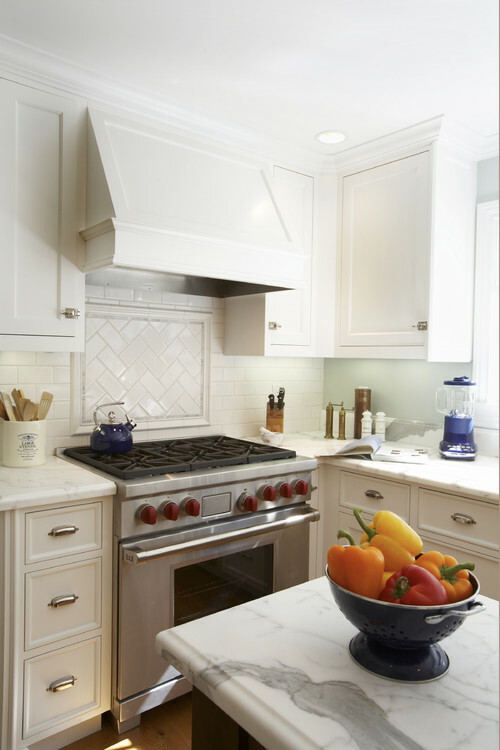 The theme du jour for Whiteout Wednesday is White Kitchens with White Subway Tile. Other than a full height backsplash out of stone, white subway tile is my favorite backsplash option in a white kitchen. It looks clean and crisp and doesn't compete with the gorgeous white marble countertops. Ahhhhhh, a post made just for me! 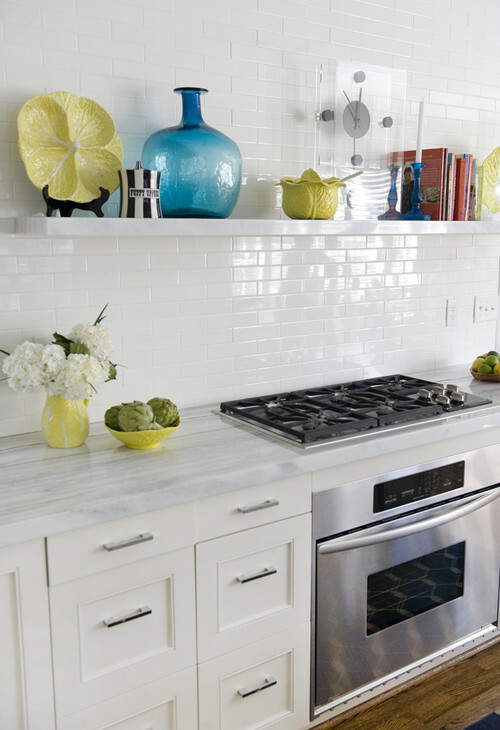 White kitchens and subway tile. Every time I see a great colorful backsplash I think it is so cool, but I have to think that subway tile is absolutely the most timeless. I particularly like the fourth one, as I think the elongated subway tiles offer a fresh take on the classic. Is that a marble countertop in that one? It seems so "stripey" so I was wondering if maybe that's a marble-lookalike quartz countertop. Thanks Erin! I feel the same way, subway tile is the way to go. The marble in the fourth picture is called Covelano marble. It's an Italian marble that can be vein cut for the more "stripey" look. It's really beautiful. Thanks for the info, Steph. I guess it's a good thing that replacing the kitchen counters is a bit down the road yet because I still haven't found the perfect thing. I love the look of marble but ... well, I don't have to tell you what the "but" is. It's really interesting how many different marbles there are and how different they look. That one is quite striking.